We provide user-friendly technology and advice to support the full range of acquisition activities. Our specialty is managing large IDIQ contracts. Past solutions have automated market research, eliminating the need for an RFI process while providing superior information, and modularized the acquisition process for various efforts working out of the same office with different needs. Application of High Quality Processes: On this project, BVTI developed multiple innovations related to building SCIFs to drastically reduce cost of construction and improve overall security of the facility. The project was nominated for the Associated Builders and Contractors (ABC) award. We specialize in high-cost technology, next generation systems, and avionics systems. Our cost and pricing analysts average 17 years of experience in their field. In just the first four months of supporting the Federal Aviation Administration, our cost and pricing analysts saved tens of millions of dollars by identifying unreasonable pricing and providing the FAA with supported bargaining power. 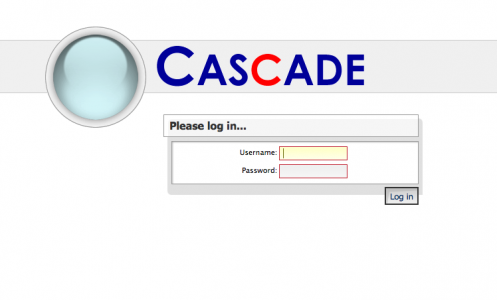 Our CASCADE tool provides a collaborative and sleek method for simultaneous proposal evaluation. It allows complete customization in a user-friendly way, weighting comments, automatically producing debriefing slides, providing workflow monitoring, and user controls. 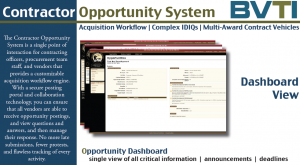 An acquisitions workflow engine and dashboard to manage multiple contracts or complex IDIQs. Allows assembly of acquisition artifacts, communication with vendors, verification and receipts so you know who has seen what, and an easy-to-navigate dashboard for quick status checks.